It turned out okay, considering I am a firefighter and not a carpenter. lol. 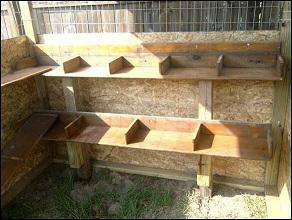 I have done handy man work before and I truly enjoyed building it. I trimmed it in lime green and my wife loved it. I did find some things building this one that I would do different next time. 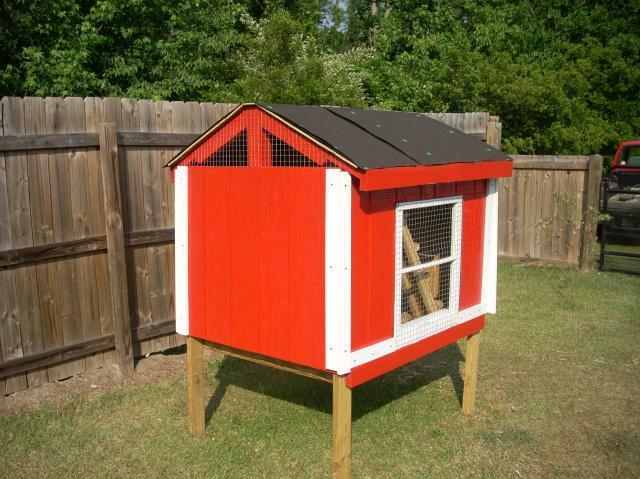 I sold that coop about 2 weeks ago and the gentleman was very excited to get it. I am now working on another one. I will keep information posted as it moves forward. I am excited and look forward to going home to build it and constantly still searching the forums for information and guidance. 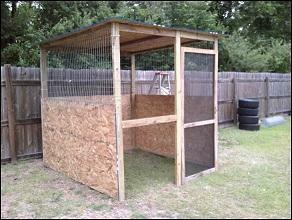 My goal with this coop with the height underneath was to attach the run under the bottom and out from there. As I said, I was super happy building it, but I learned what I wanted to change for the next one. I am excited about working on my new one. Any suggestions are helpful. 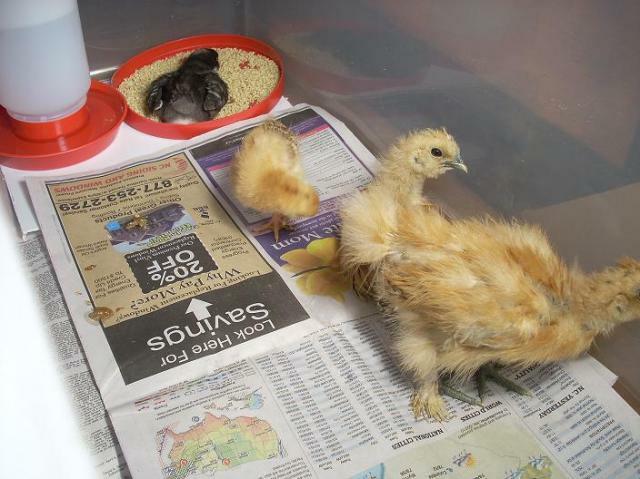 April 28, 2010: Got the first chicks today. 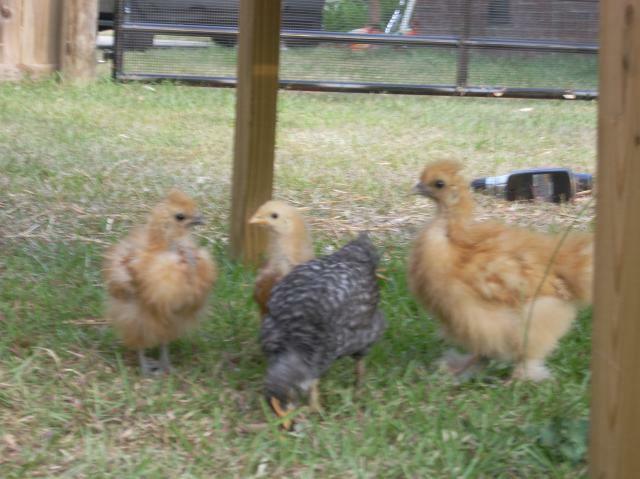 Two silkies, one rhode island red, and one barred rock. Here are their pics. 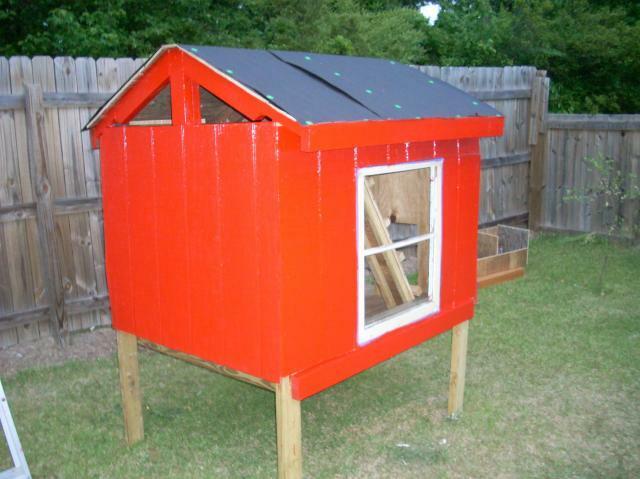 May 1, 2010: Alright, finally got a chance to work on the coop today. It is to this point, 100% built with recycled scrap materials. I am not some kind of huge environmentalist, but I do recycle and I figured with all my fellow friends scrap wood, I could round up enough to build another one. I was right, although I am for sure I will have to pick up some white paint for the trim and some trim boards from Lowes. So, when finished it won't be 100% scrap, but fairly close to it. 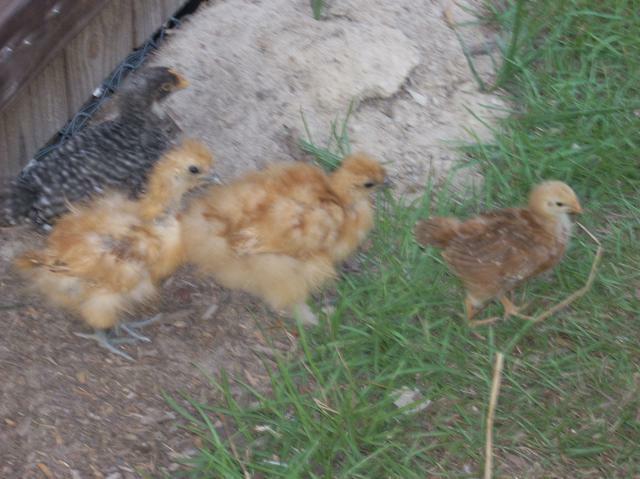 The chicks are doing great. 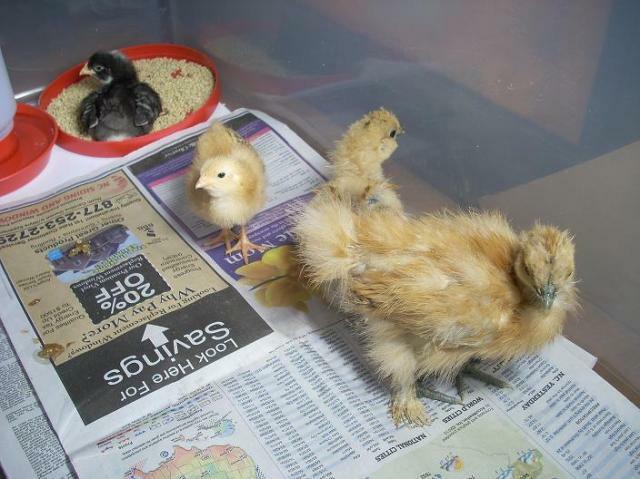 I have enjoyed watching them at night catching the bugs underneath the brooder light. I let them out in the yard inside a piece of lattice with a cover over it and watch them rummage around for bugs and kick dirt. 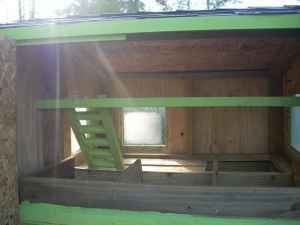 New coop pics: Alot left to do. 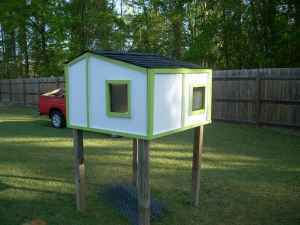 May 13, 2010: Alright, finished the coop last week although I am happier with some parts rather than others. I like the two story interior for them and it looks as though they enjoy it too. 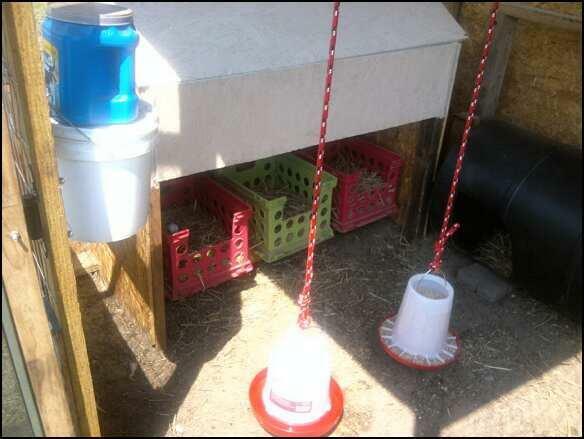 I have moved them completely from the rubbermaid container into the coop with the warming light still on at night. I let them out (supervised) during the evening for about an hour and they are having a blast. 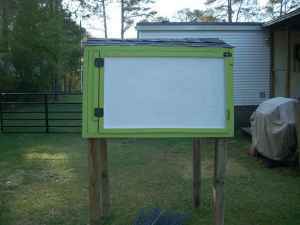 I found a dog kennel (6' tall, 7.5' wide, 12' long) for $50 on craigslist. 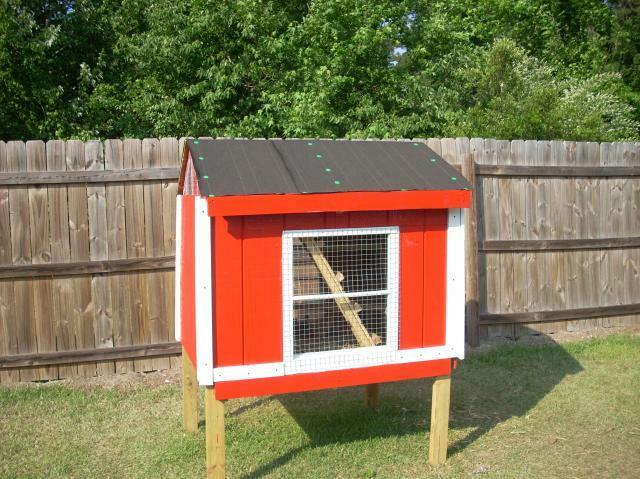 I am waiting until they get a little age and then I want to sit the coop inside the kennel with the ladder attachement. Enjoyed letting them out today and watching them play in the dirt. 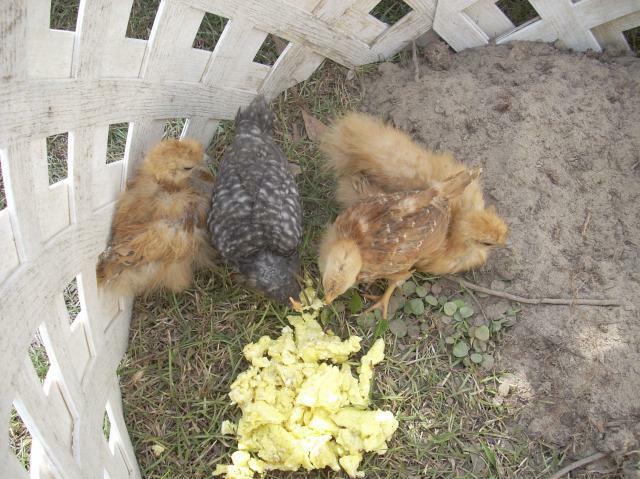 They are growing like crazy and love scrambled eggs. Alright, so I got a few pics more of them rumbling in the yard. 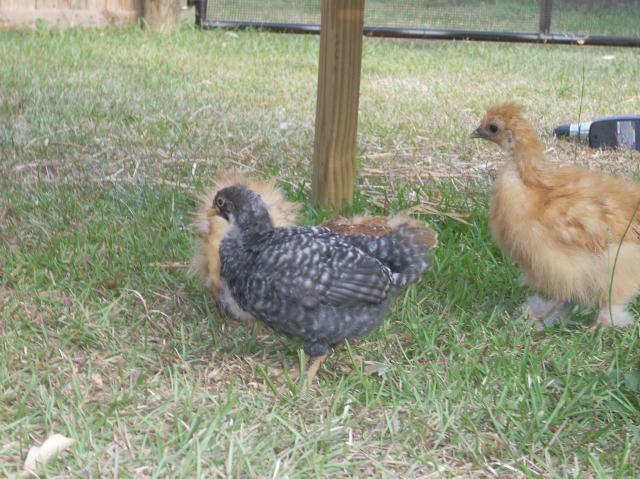 Barred Rock - Kaitlyn, RIR - Reba, Bigger Buff Silkie - Lucy, Smaller Buff Silkie - Sally. 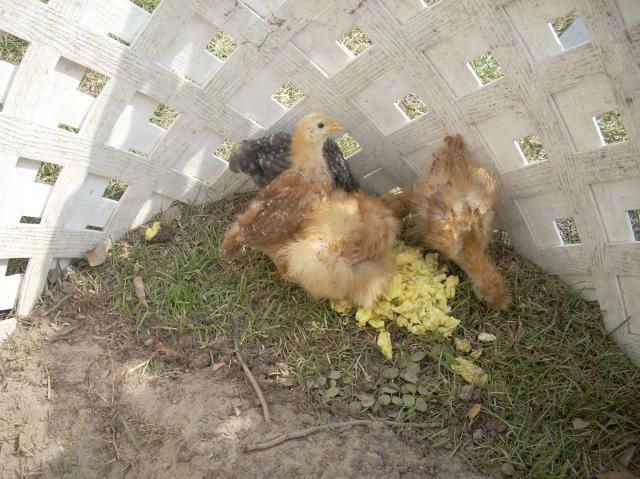 UPDATE: CHICKS HAD TO GO. TOUGH WORK SCHEDULE AND NOONE AT HOME TO LOOK AFTER. GAMES WERE MORE IMPORTANT. WILL TRY LATER. 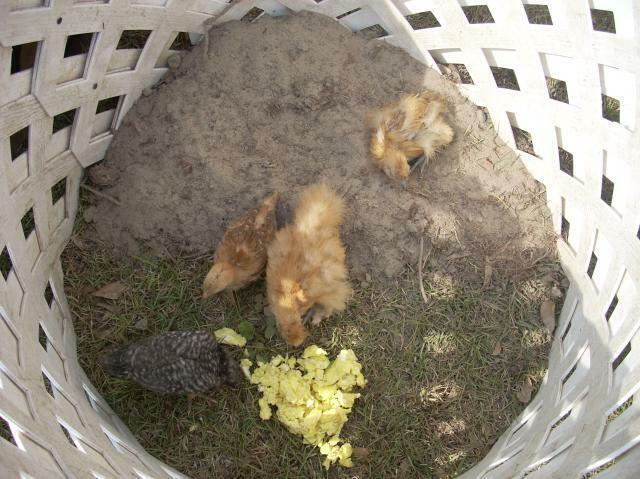 June 9, 2011:Alright, second go round with the chickens now after my children decided last year that toys were more important. 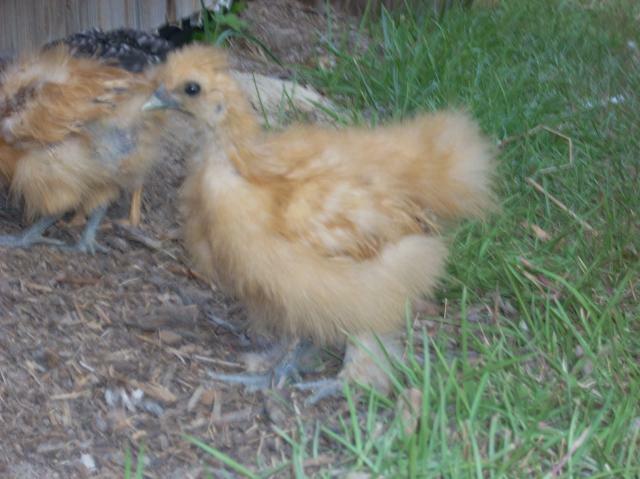 Everytime I would see someone else's chickens, I wanted some. 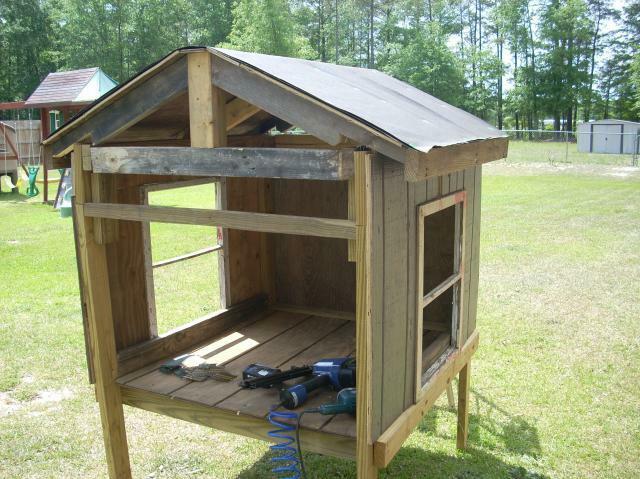 Working on the new coop now which will be much bigger than those beforehand. I will post pics along the way. 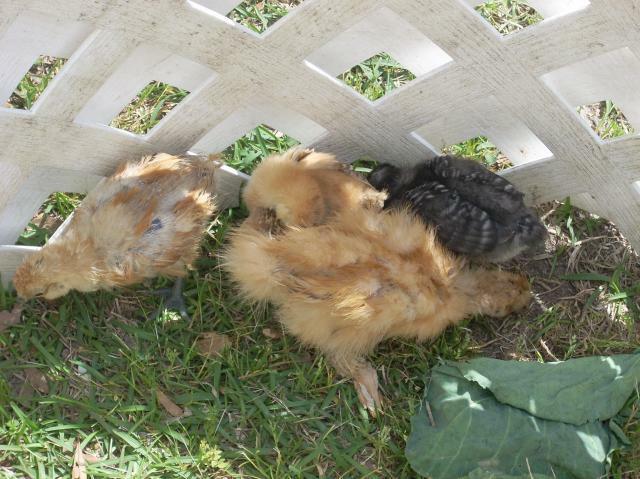 Got 4 chickens yesterday. 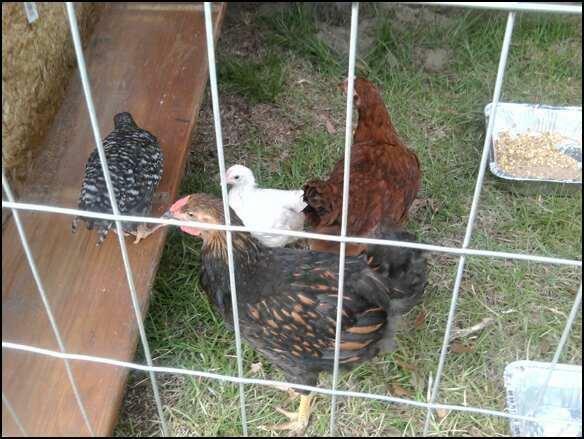 The guy told me they were: Rhode Island Red, Dominecker, White Rock, and a Wyandonette. Very excited. 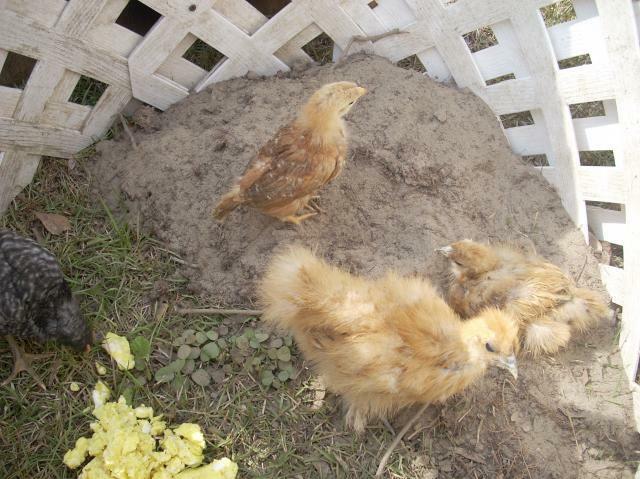 September 15, 2011: Chickens are growing up now. My RIR hatched her first egg about a week ago and has been hatching one a day every since. 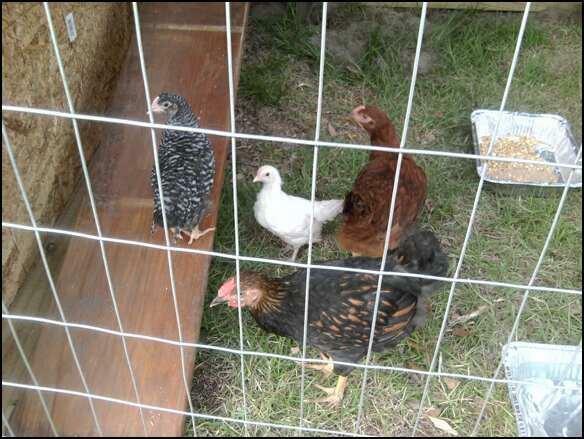 I still have all the ones in the picture, except the Wyandotte, turned out to be a roo. I just got two bitties yesterday and I am looking forward to them. 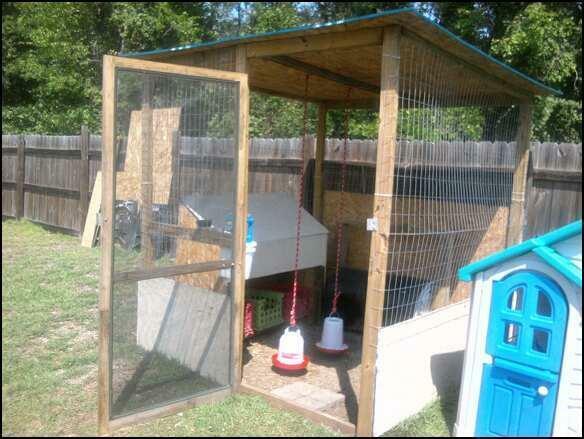 Had to restructure the coop due to too many places to poop. 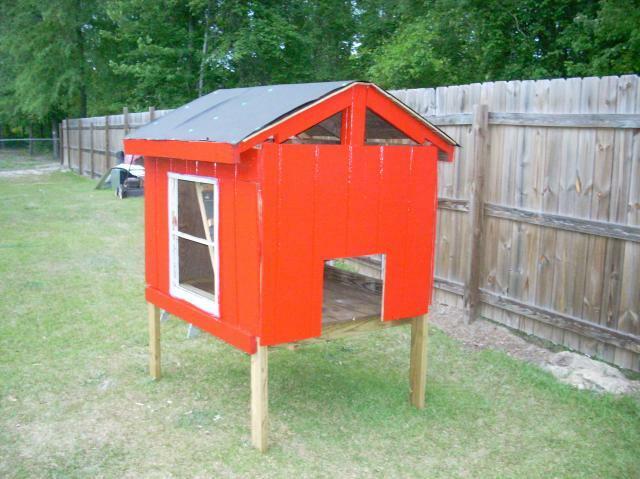 The little playhouse is what we turned into a house for the bitties. "Good job with this coop"
Good to know someone else has to try things a few times. Nice job. 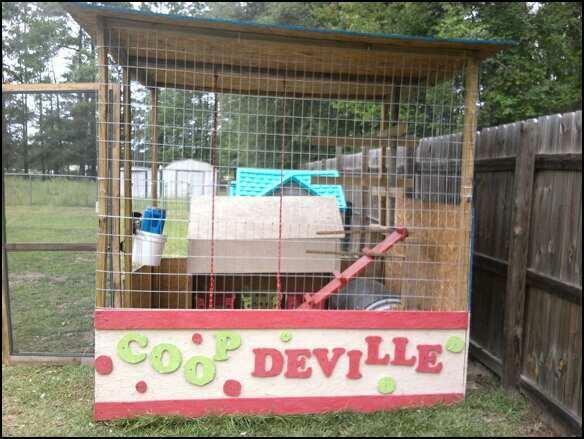 I like how you show the evolution of your coop and run. We all change as we learn .